With years of experience in the domain, we offer our customers a quality assortment of Automatic Blow Moulding Machine. 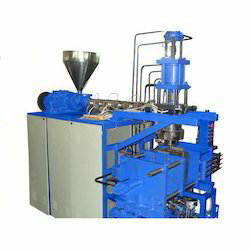 The given machine is used in making HDPE, PC, PP, and PE containers and bottles in various shapes. It is designed with precision using innovative technology for higher productivity and efficient working. Looking for Accumulator Blow Moulding Machine ?